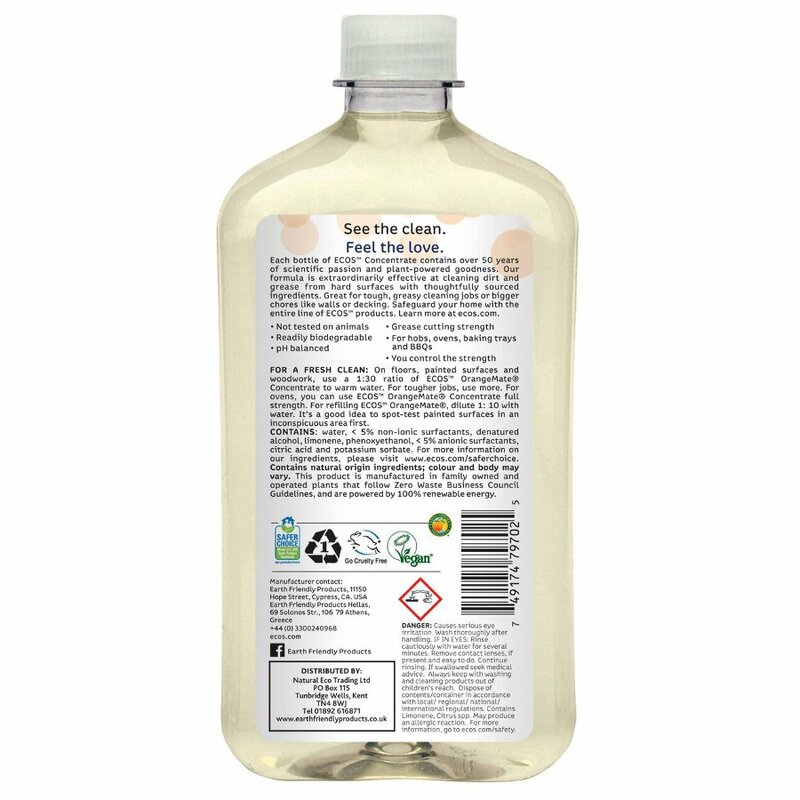 Orange Mate multi surface concentrate can be used for heavier grease removal e.g. oven hobs baking trays or dilute it with water for floor cleaning. Using the pure essential oil of oranges to help penetrate and emulsify grease. Can be used on non-porous surfaces including sealed stone hardwood floors etc. 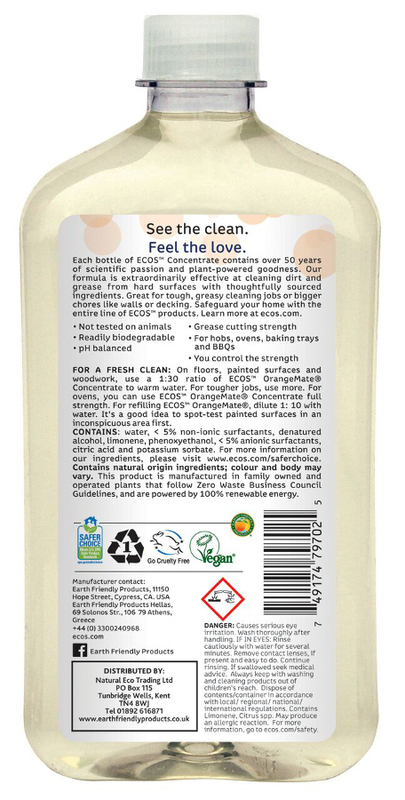 Earth Friendly pledges their products are environmentally responsible work well and provide value. They never test on animals or use animal ingredients. 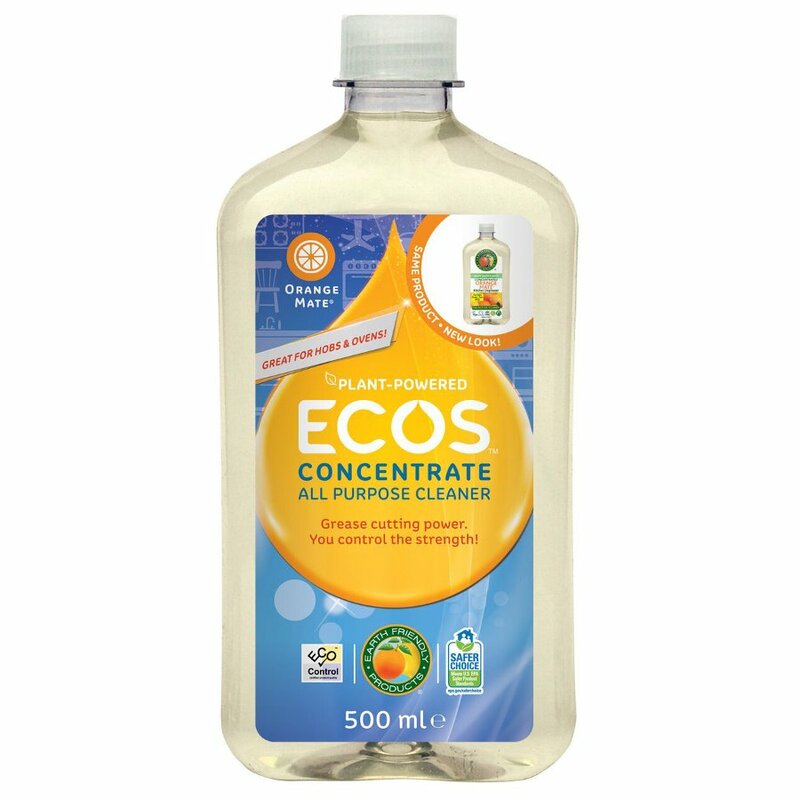 water, < 5% non-ionic surfactants, denatured alcohol, limonene, phenoxyethanol, < 5% anionic surfactants, citric acid and potassium sorbate. 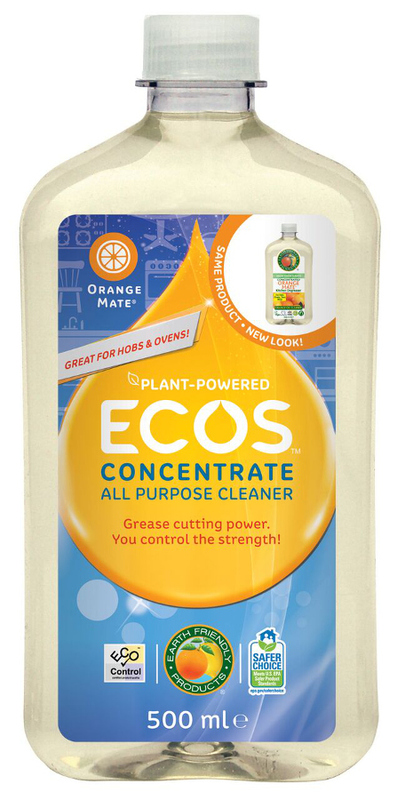 There are currently no questions to display about ECOS Orange Mate Concentrate All Purpose Cleaner - 500ml.